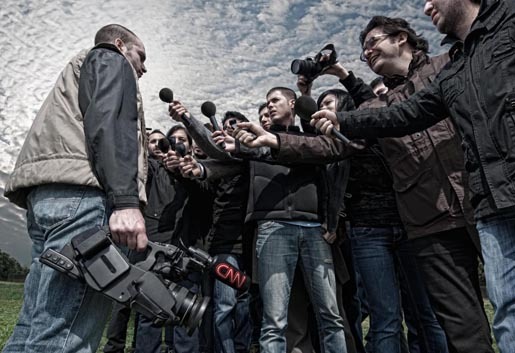 CNN Turk presents its coverage of current events as the place the reporters go to for information, in “Cameraman”, the winner of a Gold Outdoor Lion and Bronze Press Lion at Cannes International Advertising Festival. Reporters with microphones line up to interview a CNN cameraman. The Cameraman ad was developed at DDB&CO., Istanbul by creative director Karpat Polat, art director Koray Sahan, copywriters Orhan Gazi Kandemir, Gokhan Ozdemir and Kerem Car, account manager Ela Gokkan, account supervisor Asli Haymana, and photographer Bora Subakan.